The high or posterior side of the body X and the sacrum. The thumb contacts indicate the direction for correcting the inferior and anterior base. 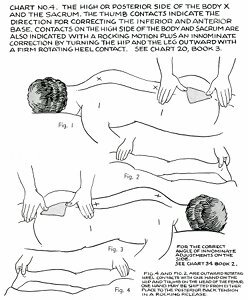 Contacts on the high side of the body and sacrum are also indicated with a rocking motion plus an innominate [hip] correction by turning the hip and the leg outward with a firm rotating heel contact. See Chart 20, Book 3. For the correct angle of innominate [hip] adjustments on the side. See Chart 34, Book 2. Fig. 4 and Fig. 2. are outward rotating heel contacts with one hand on the hip and thumb on the head of the femur. 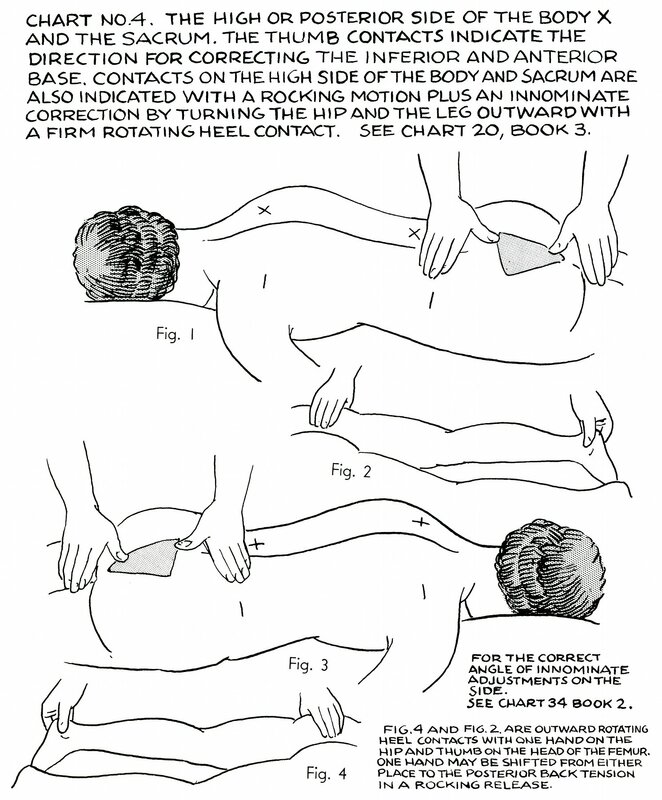 One hand may be shifted from either place to the posterior back tension in a rocking release. Book 4, "Explanation of Chart No. 4"